Growing up Aussie, it seemed completely logical that Santa wore a warm red beanie, thick red coat and heavy duty boots during the height of summer. Our special edition of the best places to go with kids at Christmas explores the top spots in Australia to celebrate the silly season. If you’re dreaming of a white Christmas, we got you covered with the best destinations around the world where iconic Christmas images such as: snowmen, cosy fireplaces and comforting turkey dinners in December, completely make sense. Let the kids experience the magic of a white Christmas and head to the Northern Hemisphere. Your kids will quickly realize that there is a real purpose for Santa’s heavy red get up, his sleigh and thickly coated reindeers. If you feel guilty feeding your children lies about Santa, you need not worry. 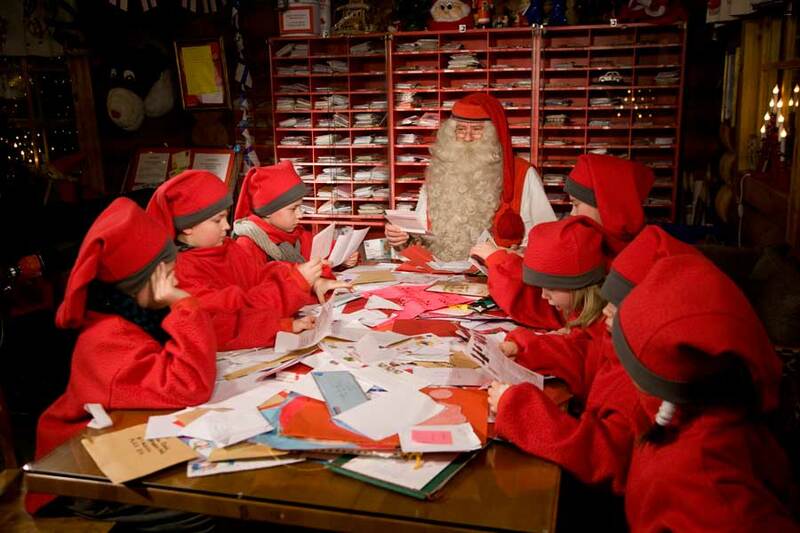 They proclaim it’s “The official hometown of Santa Claus”, located in the Arctic Circle of Lapland is Santa Claus Village. Keep the magic of Santa alive without the guilt because Santa, all his elves and reindeer actually exist and you can take the kids there as a “I told you so”. They don’t skimp on the right looking Santa in Finland. Dressed in am authentic looking heavy red robe and adorned with a serious beard, this guy could possibly be the real deal? Kids get the chance of meeting Santa in the flesh in hopes of getting an automatic in on the nice list or at least be able to plead their case to the real McCoy. 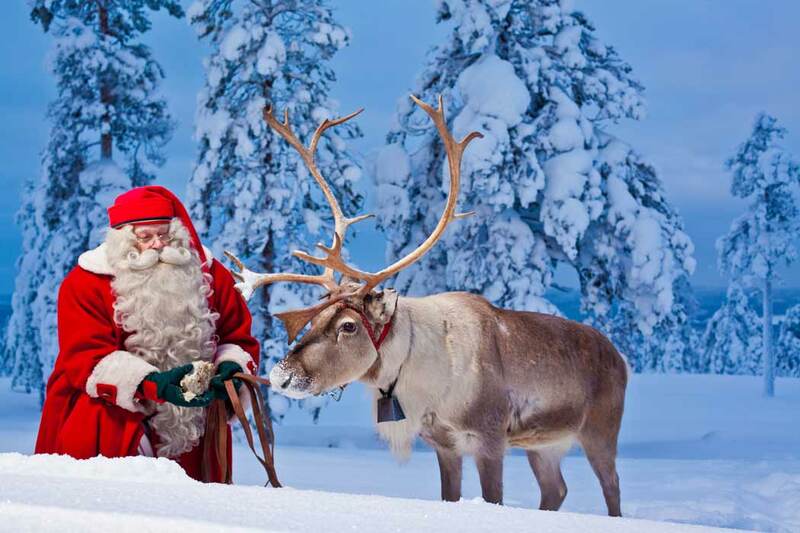 Kids can meet the resident reindeers and huskies at Santa Claus Village. The only difficult decision is whether to take a traditional sleigh ride or go dog sledding. New to Santa Claus Village are eight purpose built glass igloos. Designed so that you can view the Northern Lights without the kids freezing their butts off. There is decent insulation, a heated floor and the ever important bathroom. There are no guarantees on seeing the elusive Aurora Boreali, however with a little bit of Santa’s luck the chances are better to seem them in December. An ice and snow wonderland has been created so kiddies can slide down slides carved from ice, snow tube and merry go round in the Arctic snow. If that doesn’t get you cold enough, there is also the ice restaurant where you can dine from icy plates and drink from icy cups. 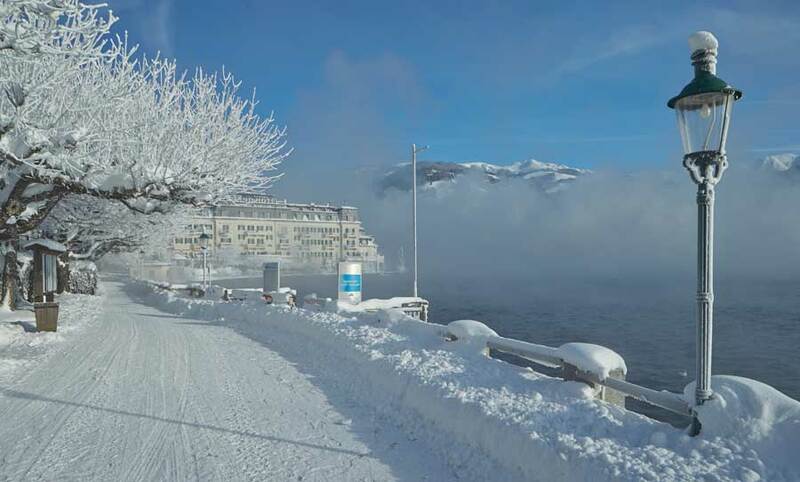 Zell am See is the picture perfect Austrian ski village to spend a white Christmas. Though there are other worthy contenders, Zell am See is the sweetest one of the lot, located at the base of Lake Zell with the impressive Austrian Alps in the background. Part of the Christmas celebrations, a huge Christmas tree that has been sunk 15 meters into Lake Zell is retrieved by divers from the freezing water. As the tree is brought up there are fireworks, lights and and music. It then remains at the foot of the lake adorned with beautiful lights. Kids will get a kick out of the colourful Austrian traditions of the Tresterer, unique to the province with pagan origins. Men with vibrant outfits and elaborate feather topped headdress, dance and sing to deliver blessing and good luck for a fruitful harvest. There are different variations, some are bit scarier than others however the Zell am See “Tresterer from the Pinzgau” is more joyful. Around Christmas time the Tresterer will do a dance around the tree at the Lake to celebrate the season. You may also find them around resorts dancing and making music in the village to spread cheer. 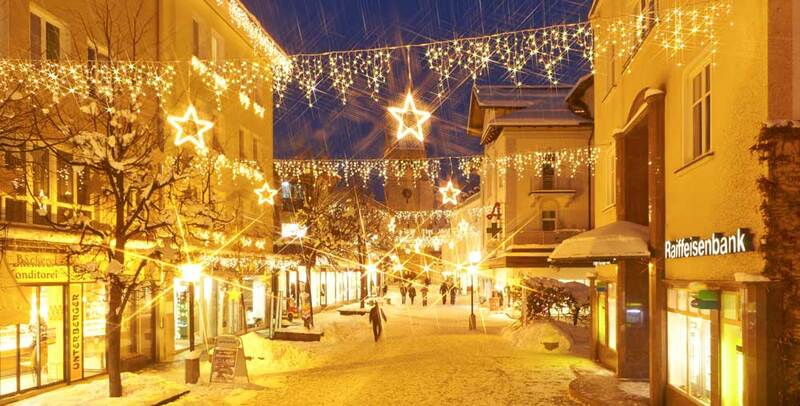 A pretty Christmas market is set up in the heart of the traditional Austrian ski village of Zell am See. Surrounded by Christmas lights and lit trees, ornate wooden stores are filled with bright christmas ornaments, beautiful artworks, hand carved toys and home baked goods. Kids can ride a traditional carousel, take a tour around the village on a train or cuddle up to a bunny at the petting zoo whilst the parents enjoy a mulled wine. During Christmas Saint Nicholas is seen at the markets rewarding children with a small toy for good behaviour. Also lurking around is Krampus otherwise known as Perchten, whom is under the control of Saint Nicholas and is a beastly character covered with fur with a large demonic mask carved from wood. In Austrian folklore Krampus would frighten kids by carrying a whip, rattling chains and bells. He would be the one that gave naughty kids a wooden stick. Krampus is scary for the kids often popping in unexpectedly during dinner time and around the village to keep kids on their toes. Although not as big as some, Zell am See offers excellent skiing. There are still 138 km of snow trails across three mountains with plenty of wide groomed green runs perfect for kids learning to ski. There are also child minding services from 1 years old and ski school from 3 years old. New York just pipped Quebec to make the best place to go with kids at Christmas in America. If you close your eyes and think of the perfect American city to spend Christmas day in, it has to be New York City. Christmas windows have always been a big event, however the holiday windows on 5th avenue is something else. Macy’s Barneys, Saks and other major departments stores seem to try and out-do one another. 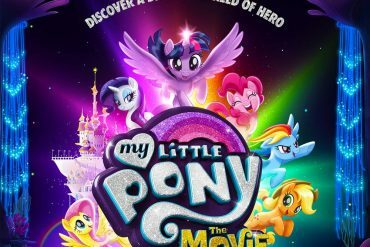 There are sponsored windows that tie in with the new release movies or classic characters in elaborate displays all choreographed to music, it’s worth the queues for some excellent free entertainment for the kids. Whilst you are there pop into Macy’s at Santaland where miracles of 34th street come true. This is where Santa and his elves reside in NYC. Kids can explore his 13,000 square foot of enchanted forest, animatronic displays and train ride before meeting him to tell him just how nice they have been. Even in the cold New York has a bustling festive atmosphere that is addictive. The city is enchanted with Christmas lights, festive decorations and trees are in every store window. The biggest Christmas tree of them all is located in Rockerfeller Center adorned with an unbelievable 45,000 LED lights. The tree has it’s own live broadcast and grand concert to rightfully celebrate it’s lighting. After admiring the lights, kids can get their skates on and glide the iconic open air Rockerfeller Center skate rink as the golden statue of Prometheus watches overhead. 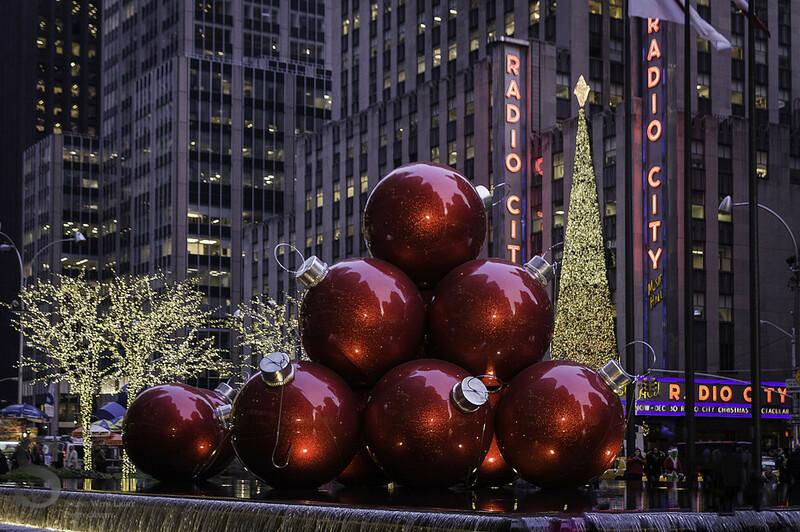 An iconic NYC holiday tradition is the Radio City Christmas Spectacular which celebrates it’s 86th year. A fun for all the family stage show presented at Radio City Music Hall it’s all glitz and glamour with the show’s highlight the famous Rockettes high kicking to a choreographed storm. Too crowded? The ice rink in Central Park is just as nice. December is hot everywhere in Australia, it’s getting too hot and humid in the North not to mention the stingers and storms. Summer is the best time to head South where even the most frigid places becomes positively balmy. The entire coast of New South Wales from Tweed Heads down to Eden, shines. You can’t really go wrong with any of the beachside towns along it’s North, Central and South Coast. It just depends on where you are and how far you are willing to drive. 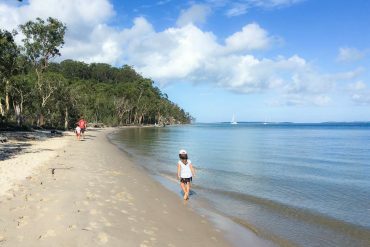 Spectacular white sandy beaches is why Jervis Bay tops the list for the best places to go at Christmas. Located three hours from Sydney on New South Wales South Coast, the Jervis Bay and Shoalhaven areas is quite possibly Australia’s best kept secret, though people are cottoning on to it’s natural beauty. Spend Christmas day at popular Green Patch or the many pristine beaches in Booderee National Park. As it’s in a protected area the beaches are surrounded by dense Aussie bush where native flora and fauna are plentiful. 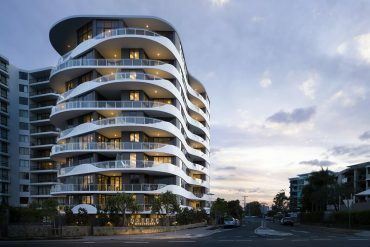 Other stunning beaches include: Chinamans Beach, Murray Beach, Nelsons Beach, Murrays and Greenfields Beach. The words crystal clear waters and Jervis Bay go hand in hand. 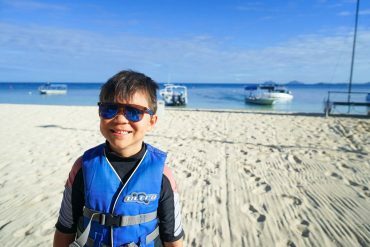 Kids can have a snorkel in protected coves and see the abundant marine life in it’s waters. 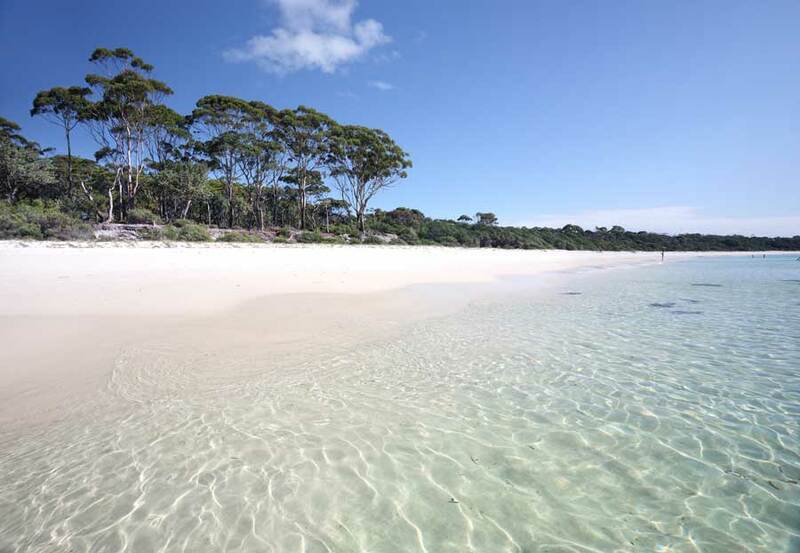 Some shore snorkel spots ideal for kids include: Plantation Point, Hyams Beach, Honeymoon Bay and Stoney Creek. There are plenty of family friendly walking trails. Some paths lead you through parklands to beaches that you can only access by foot. Take a walk, pack a picnic and spot wildlife with a chance to glimpse dolphins in the bay, spot octopus in rock pools at low tide and check out the resident penguin colony. Walks suitable for little ones include: Hyams Beach Track, the track from Murrays Beach car park to Hole in the Wall and White Sands walk. Check out more walking track suggestions here. Jervis Bay is a protected National Marine Park with a colony of bottlenose dolphins. Take a dolphin watching cruise and spot the other diverse marine life in the area including: penguins, seals, seabirds and migratory whales (May – Nov only). 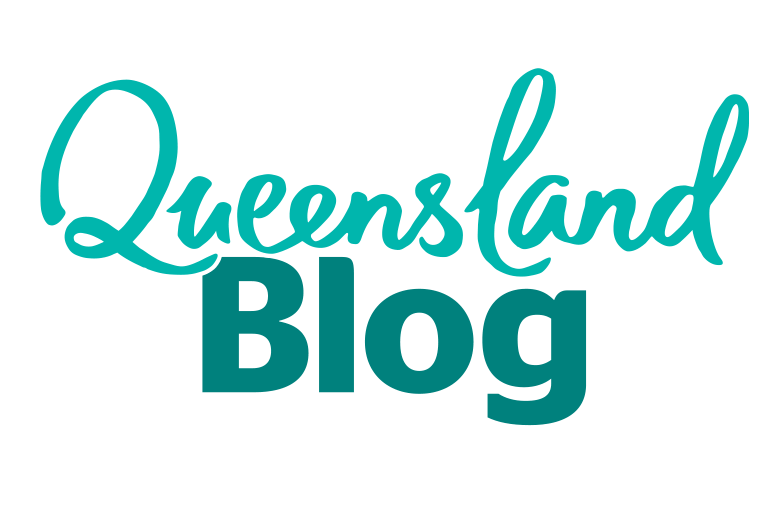 One of the more popular places for Queenslanders to visit for Christmas with a manageable five our drive. 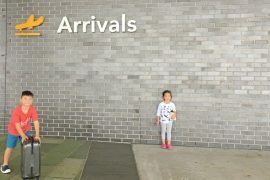 If that seems too long with the kids you need not worry as Coffs Harbour Airport services Sydney and Melbourne. 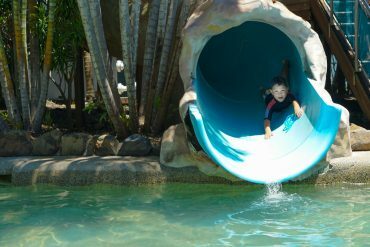 As well as beautiful beaches, Coffs offers a great selection of family friendly accommodation and attractions for the kids. 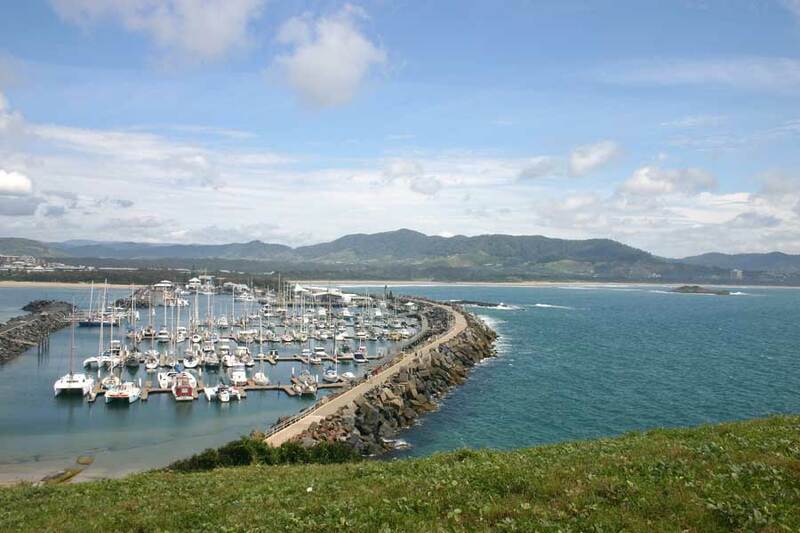 With so many beautiful beaches around Coffs, you will be sure to find the perfect one to celebrate Chrissy on. Family friendly beaches include: Sawtell Beach, Park Beach and Diggers Beach which are sheltered from the breaks and have rock pools for little ones to explore. Kid keen to throw a line in can try their luck at Jetty Beach or Park Beach. A short accessible walk across a landbridge takes you to Muttonbird Island home to many migratory birds. It’s most popular for it’s views over the sea back towards Coffs Harbour and the mountains. Even though it’s closed Christmas Day, you can’t visit Coffs without dropping into the iconic Big Banana. 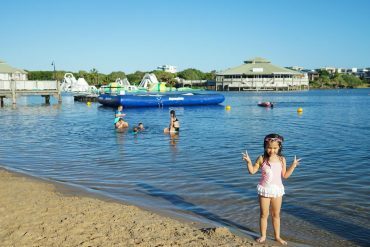 Start your kids love for Australia’s Big Things with it’s very lovable variety of activities including: rides around the plantation, a water park, tobogganing, ice skating, mini golf and laser force. 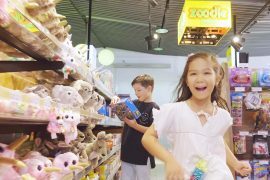 Kids will love Coffs Harbour’s Dolphin Marine Magic, a marine park with fish, sea turtles, penguins, seals and dolphin exhibits. As well as educational shows, for a little extra kids can get a chance to swim or play with a dolphin or seal. If they are too little they can still get kissed by a dolphin or seal for free. Open 365 days a year including Christmas. As tempting as it is to chill by the beach you will not regret a day trip through the tablelands where a set of World Heritage national parks lines Waterfall way from Bellingen and Dorrigo to Armidale. 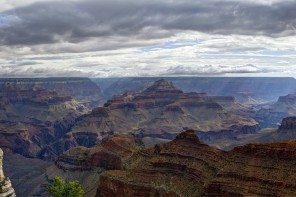 Home to spectacular gorges and impressive waterfalls. It’s a great time to head to Kangaroo Island. People are put off by the distance from Adelaide and the long drives around the Island. We found it surprisingly family friendly with an abundance of wildlife and natural beauty that takes your breath away. Vivonne Bay is a beautiful white sandy beach that stretches for 2 kilometers. It’s secluded and untouched and once you pay a visit, you can see why it once won the best beach in Australia title. 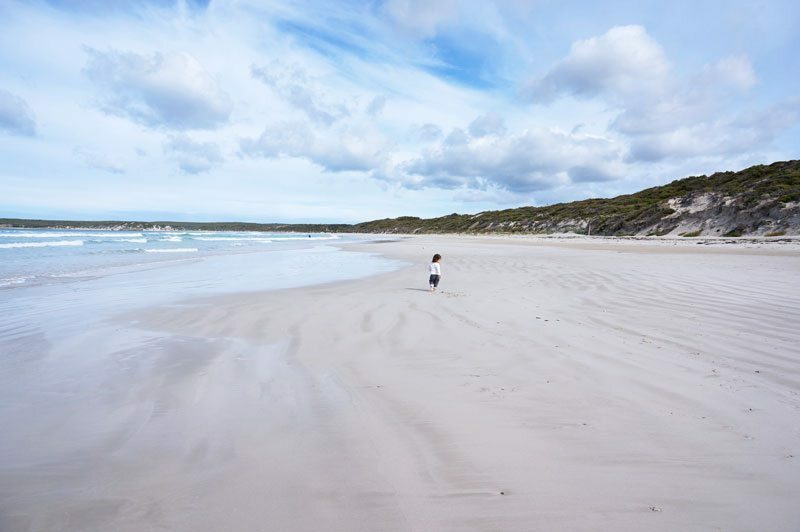 You will find many spectacular beaches on Kangaroo Island, a few family favourites include: Stokes Bay, Emu Bay, Snellings Beach and Hog Bay. Take the kids on a guided tour along Seal Bay and walk on the beach where you can see these beautiful uninhibited creatures lazing on the white sand. Keeping a distance of 10 metres, kids can get close to suckling seal cubs cuddled into their mums. The Remarkable Rocks are a collection of boulders siting high upon a impressive cliff face. These huge rocks have been sculpted by winds over time and are indeed remarkable. Kids can clamber over, around and sometimes in different shaped rocks all the whilst admiring the views of the ocean below. Dubbed the Galapagos Islands of Australia there are many animals to look out for in the protected National Park. From the elusive yet beautiful Blue Wren, seals and sea lions, fairy penguins, koalas to the islands namesake the local kangaroos. Kangaroo Island’s isolated location has made it the perfect sanctuary for Aussie wildlife. For more information check out my Highlights of South Australia post. 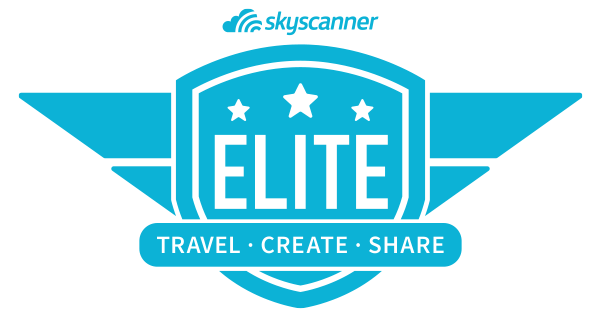 Lapland is always the big one, but you’ve put forward some great ideas for other places closer to home. Maybe we just all want what’s far away. I mean really – how can you go past Kangaroo Island? It’s nuts to consider going so far north when you can go a much shorter distance south. 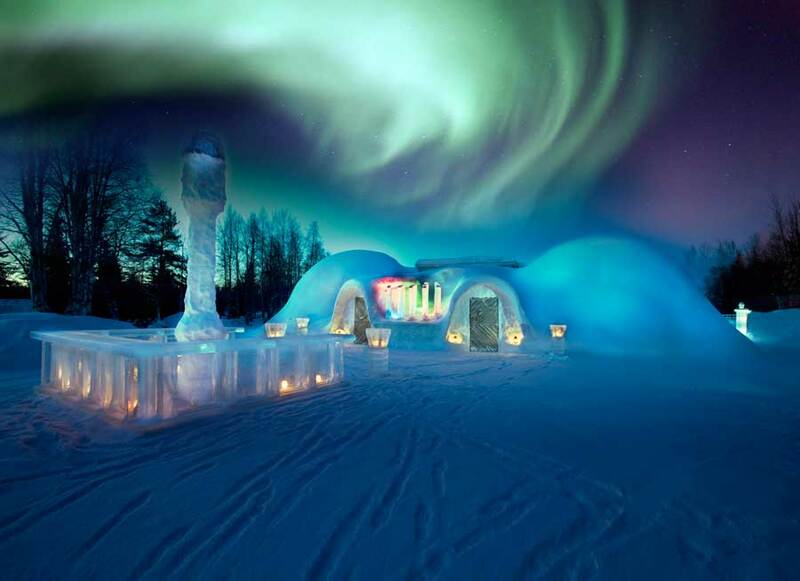 KI is really gorgeous but if we could go right now, it’s got to be Lapland right!? I mean Santa and igloos! Love this post Rene. My girlfriend did Lapland and the Aurora Borealis last year and, although they didn’t see the lights, the Christmas stuff looked amazing. I would love to get there one day.